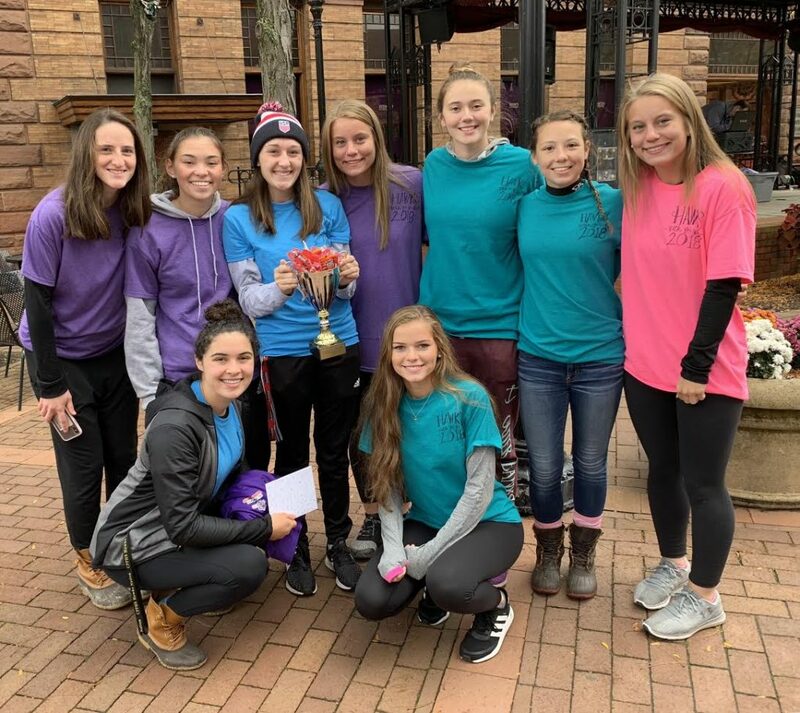 Each year, for the past 12 years, the JV and Varsity Girls soccer teams have raised money to grant children in the community wishes. Twelve years ago one of my soccer players lost her 13 year old sister to a brain tumor. She only lived one year after she was diagnosed. During that time she was granted a wish by the Make a Wish Foundation. Her wish was to have a bedroom makeover. She loved to read and paint. In the midst of all her pain and sorrow, she found immense joy in her bedroom. Since then, we have walked to honor Claire Murray. This year we had 35 teammates as well as some help from the JV boys soccer team. 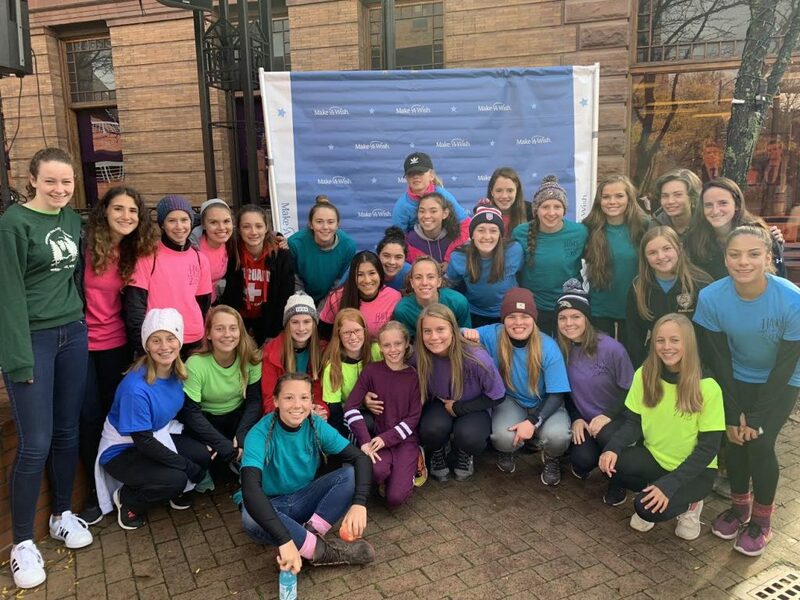 The girls raised over $7000 and the boys helped bring the total to over $8000. I estimate the seniors in this class have raised close to $13,000 in the past four years. The beauty of this event is the way the older girls impress on the younger girls the importance of giving back. We only fundraise to give, but I believe they get more from this event than any other thing we do. This event is important for the community because the money raised supports local people who are battling life threatening illnesses. It’s an event we look forward to because we get to meet the wish kids from the previous year. Each year there are several former wish recipients at the walk. 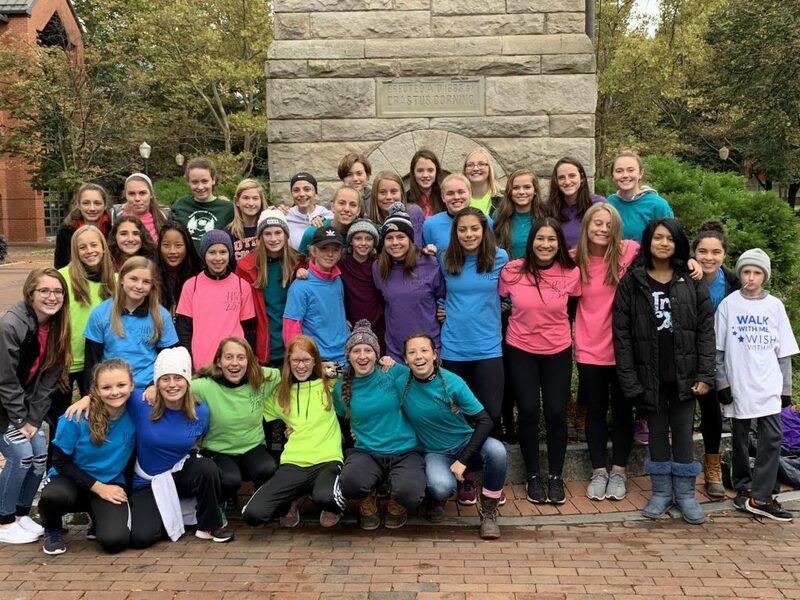 The athletes also helped by making t-shirts, face painting and Zumba at the event, and writing thank you notes that we write as a team to those who donated.